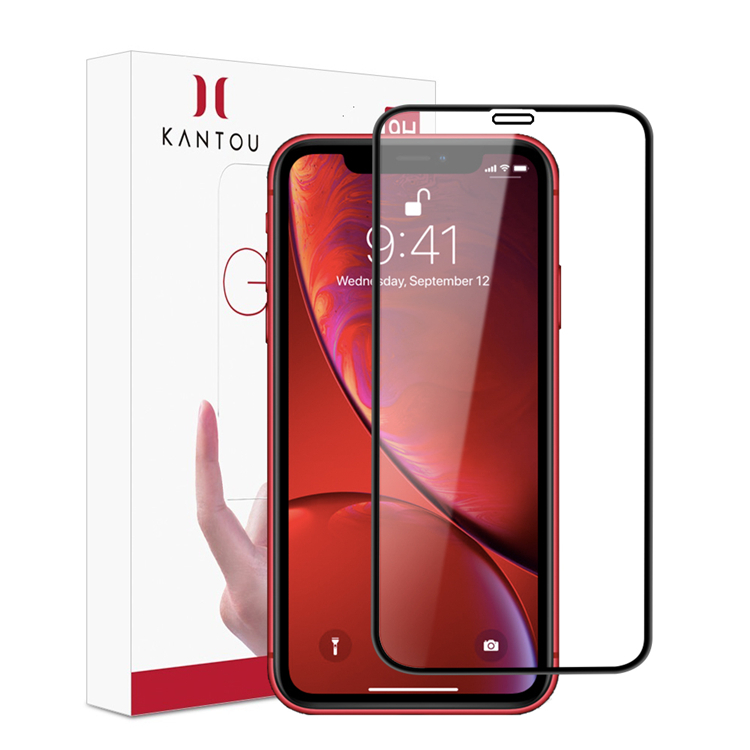 Kantou 3D Screen Protector is designed to provide protection for iPhone XR`s screen with 3D round edge. The space between the screen protector and the edge of the phone allows a phone case to be installed. This iPhone XR`s Tempered Glass with the 3D curved soft edge is precision laser cut to provide a comfortable grip, greater resistance to chipping and allow for a smooth experience, seamlessly fitting its curved edges. The 9H surface hardness tempered glass can powerfully resist daily usages & scratches, impact & drop. It will offer highly durable protection to your iPhone XR. With the special Hydrophobic and oleophobic screen coating design, this iPhone XR 3D screen protector can help you against the annoying fingerprints, also keep you away from sweat, oils. Just need to use the cloth to wipe them slightly in daily usage. 0.33mm extremely thinness premium tempered Glass Screen with 3D Touch will provide you high sensitivity, high transparency, and light transmittance. You can experience the highest quality of games, videos, and images as your original iPhone XR. Looking for ideal IPhone XR Screen Protection Manufacturer & supplier ? We have a wide selection at great prices to help you get creative. All the IPhone XR Tempered Glass are quality guaranteed. We are China Origin Factory of IXR Screen Protector. If you have any question, please feel free to contact us.